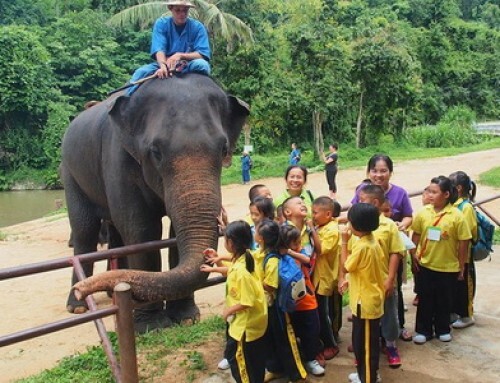 Overview : Have a truly unique experience by getting up close and personal with elephants, and learning how to take care of these gentle giants. 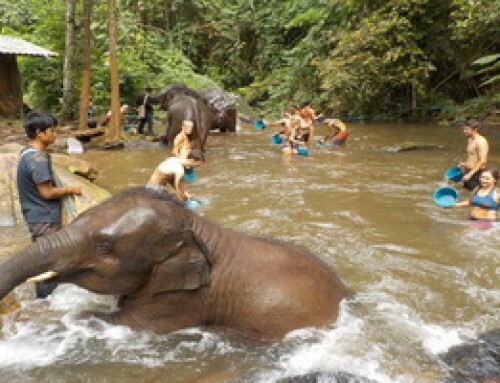 You become an “Elephant Owner for a Day” during this outing you’ll learn how to approach your elephant, how to gauge the animals’ feelings, you’ll feed and bathe your elephant. 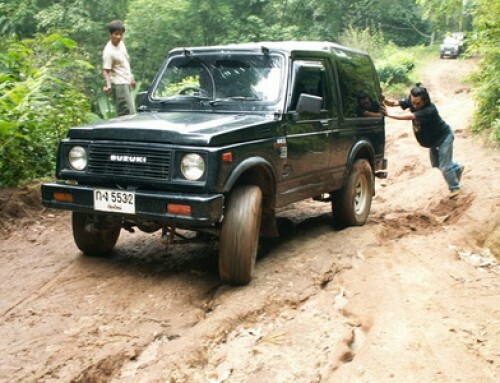 You’ll also learn how to ride the elephant and give it simple commands. 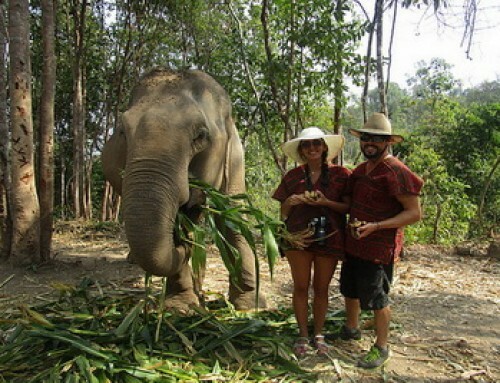 Enjoy the beauty of nature when you take your elephant out to visit waterfalls or temples. 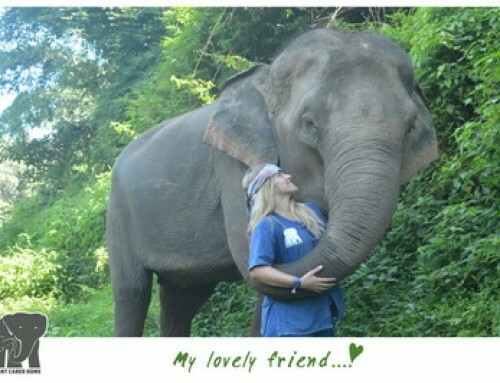 This outing is centered around getting your elephant to trust you, and building a relationship with the elephant. It’s sure to be the most memorable part of your vacation. Arrive at the farm. Make registration. Get change to our training outfit. Hiking to find the elephant in the bush. 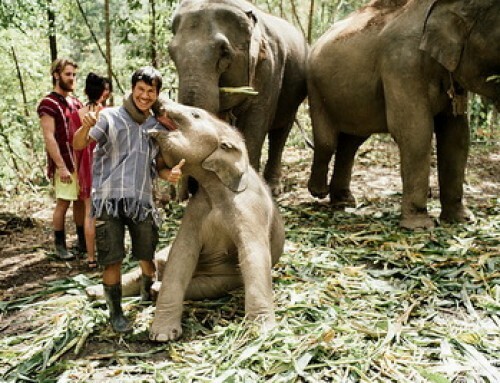 Learn about elephant farm management and our breeding program. Train to approach and be near elephant. Learn to observe elephant temperament. Introducing to every of our elephants. Daily health care for elephant. Pregnancy test for elephant and care taking for mother with small baby. 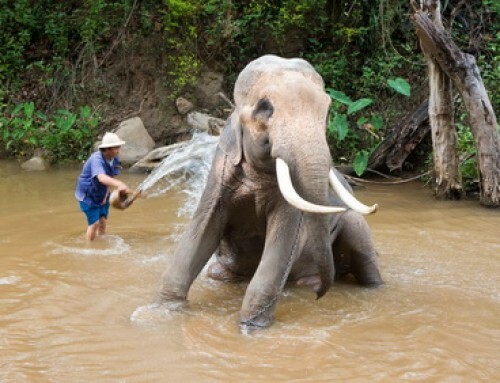 Learn about elephant skin care and bath your elephant in the river. Instructed training to get on the elephant neck with difference technique, sitting on the elephant, basic riding skill and spoken commands for elephant Practice on getting upon and coming down from the elephant. 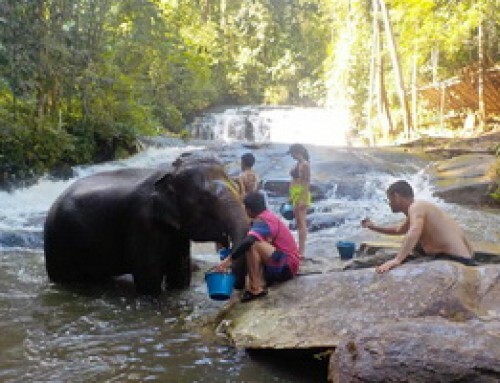 13:00 Setting of for a long up hill trip to visit waterfall for picnic lunch and refreshing in the water with your elephant. 14:00 Elephant riding trip back to the farm for evening feed.